WOWZA! This 1921 So-Bro bungalow is ready now! Three bedrooms, fab deck & private backyard, open kitchen, and an easy walk to all the restaurants and bars! Seamless blend of vintage and new, with the functional and charming built-ins and a kitchen that's been opened up to the dining room. A big, clean, freshly painted basement means more space for whatever you gave in mind. Best of all, all the important stuff is only 2 years old: roof, furnace, air conditioner & water heater's just six months old! Updated bathroom, fresh paint throughout. 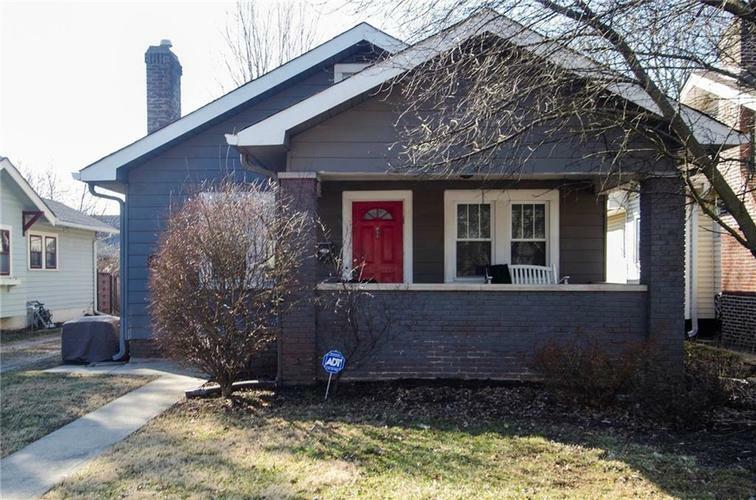 Live in the hottest Indy neighborhood, move-in ready and walkable to all the awesome: Jazz Kitchen, 20 Tap, Fat Dan's, Fresh Market and more. Great house in an amazing neighborhood. All appliances stay! Directions:South on College from 56th St to home on West side of street.